Cubic Botanical 处于非常战略性的地理位置，就在吉隆坡南部。目前许多庞大的发展包括sentral city, bangsar, bangsar south, pantai dalam等等都在吉隆坡南部，这些项目都是目前最具有价值的发展，Cubic Botanical也就在此地! 附近有许多的多媒体服务和电子商务公司及，所以吸引了大量的外藉专业，也同�r带来了许多国外投资，可说这是最好的热点，所以我本身认为Cubic Botanical是很有价值的产业! 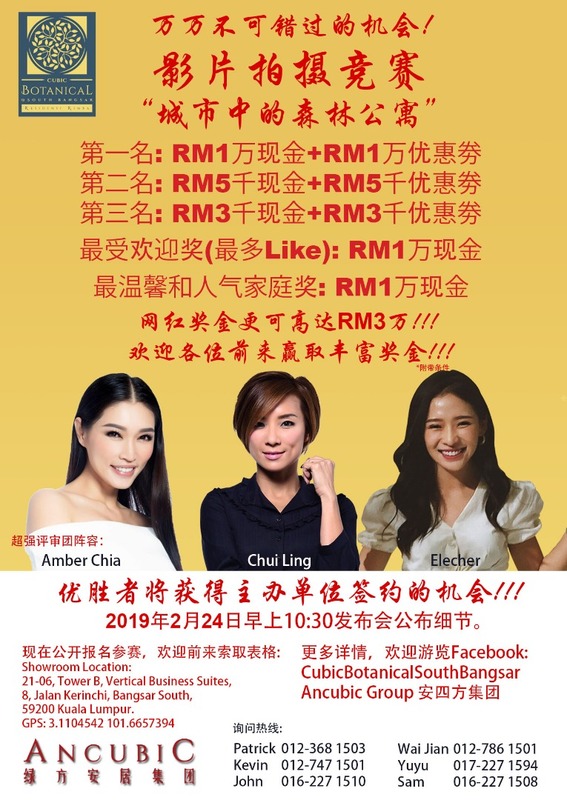 除此以外，Cubic Botanical也将在23/3/19早上10点钟在Vertical, Bangsar South 举行柔启动(soft launch),。发展商邀请了贵宾部长，吉隆坡市长等多位名人都将在当天出席! 欢迎网红和各位亲朋戚友一同前来出席，趁这时间录像可有特别加分! What is the key objective of property investing? What is the key objective of property investing? Positive cashflow. Before you start investing in any property, the first thing you need to know is what type of targeted tenant you’re looking for, to let out your property. Understanding your targeted tenant will determine what type of property you should buy in that area. Because different tenants have different priorities & needs arising from their lifestyles. And because of lifestyles, this have got a lot to do with how deep their pockets are. 1 way to understand their priorities is to look at the income categories they are belong to which we can categorize them into lower, middle and high income tenants. Let’s look at what are this 3 types of tenant looking for when they are looking to rent a property. 1) Good public transport infrastructure like bus, LRT, MRT, KTM. 2) Walking distance or short ride to shopping malls. 3) Walking distance or short ride to Near Offices, Shop lots. 4) Walking distance or short ride to Eatery outlets. 5) Walking distance or short ride to College, Universities. 1) Looking for gated guarded community with fairly good security. 2) Must have at least 1 car park, preferably covered if possible. 3) Must have clean & pleasant surroundings. cafeteria, shopping malls, entertainment spots. 1) Very particular about safety, must be excellent security. cascading waterfalls and nouveau gardens. for their dinner & party guests. 4) A secluded enclave in a good neighbourhood matters to them more. target income stream you are looking for. CITY developer SkyWorld Development Group (“SkyWorld”) celebrated another milestone recently by hosting a successful key handover ceremony at Sentul. This multiple award-winning SkyAwani series has cemented its position as the must-owned starter homes for first-time home buyers – given its affordable price, practical layout and the icing on the cake; full-fledged condominium facilities. To commemorate the early handover of SkyAwani 1, SkyWorld held the Key Handover ceremony whilst at the same time revealed two good news. SkyAwani 1 Residences is the first RUMAWIP that achieved 76% QLASSIC score by the Construction Industry Development Board Malaysia (“CIDB”) and the first RUMAWIP to handover with Strata Title. More than 600 purchasers attended this event and there were also lucky draws to build up the excitement. Present to grace and officiate the key handover ceremony was Khalid Abd. Samad, Minister of Federal Territory. The Minister was accompanied by Tan Sri Mhd. Amin Nordin Abd. Aziz, Mayor of Kuala Lumpur, Parti Keadilan Rakyat vice president Chua Tien Chang and Datuk Ng Thien Phing, Founder & Group MD of SkyWorld. Datuk Ng later shared: “A big part of our job, as a KL-centric city developer is to provide the ultimate Sky Living experience in a sustainable environment. “Be it affordable apartments or exclusive condominiums, we are committed to our 3 key strengths; value creation (strategic location & quality finishing), integrated Sky Living experience (good amenities & facilities) and innovative designs & concepts. “We are proud to announce an early handover of SkyAwani Residence, six months ahead of schedule and we have successfully handed over 750 units to our purchasers since July. Closing the deal VS Opening the deal. Closing the deal may mean achieving the desired outcome, which may be an exchange of money or acquiring a signature. Real estate negotiators are always eager to learn new ways and tricks of closing deals. Some of us are willing to dance, flip, somersault and perform a last round of hard sell to achieve it. However our prospects may be more informed and they prefer to be lead rather than to be sold. Therefore spending more time in opening the sales is more vital than closing the sales. When we understand their goals, objective, needs, challenges and the 'WHY' factor, we can lead our prospect into the buying decision. Start by building trust, gather all relevant information, exercise fact finding, provide solution and then close the deal with confident. If you want to close more deal you need to open more deal. Happy opening and happy closing. Musang King and real estate. We were told that Musang King durian takes at least five to six years before we can harvest the first fruit. On the other hand bean sprout will only takes three to five days to grow before we can consume it. 1. Bumper harvest does not happen in every season. 2. Big deal like Musang King requires a longer time compare to regular rental deal like the bean sprout. It is wise and practical to ask ourselves if we can sustain and survive before the big deal can be completed. Are we financially sound to do that? If we are living from hand to mouth then it is only sound to do some rental deal and some regular sales. We can start working on some big deals but we need regular deals to keep us going. We need immediate food like the bean sprout and start planting Musang King dreaming for a bumper harvest. Keep your eyes on the stars and keep your feet on the ground. From left: LePro Co-Founder Elizabbeth Siew, and Crypto Properties International Founder Lionell Tan. LePro System, the first regional real estate legal tech start-up has signed a Memorandum of Agreement (MoA) with Crypto Properties International for joint development of real estate smart contract on blockchain. The joined forces between this two companies will foster the cross-border property transactions, specifically with the aim to gain attention from the Chinese buyers who are buying properties in United States, Australia and Malaysia, just to name a few. Said Elizabbeth Siew, co-founder of LePro System: “With this collaboration, blockchain-based smart contract in conjunction with other technology platforms like Crypto Properties International platform, the transaction for property sales will be more quickly and securely because it is immutable, permanent and transparent on network. Crypto Properties International intends to develop an international online property listing platform which enable property to be transacted using cryptocurrencies like Bitcoin, Ethereum and Rego. Rego is a utility tokens can be used in the acquisition of certain properties listed on the trading platform and for access to the blockchain based applications. “In the joint effort of Crypto Properties International and LePro System, I believe that our vision to build and operate a global real estate platform that has a proprietary one stop solution for international property buyers will reach a higher tier in the future,” said Lionell Tan Peng Eng, the CEO & Founder of Crypto Properties International, in his opening speech. The MoA was signed by Lionell and Elizabbeth at the Head Office of LePro System. Follow up and follow through our promised service. Some say follow up is something that is done to finish a previous action or make it more successful. While others say if you follow through an action, plan, or idea or follow through with it, you continue doing or thinking about it until you have done everything possible. Our real estate client and prospect expect us to follow up and follow through everything that we do. When we promise to introduce a banker to assist our buyer in applying a mortgage and we merely just pass a contact to link them up. We can tell ourselves that we have followed up and left the matter to them. On the other hand if we continue to do anything possible until the mortgage is approved then we can claim that we have followed up and followed through the matter. We just need this simple act to stand out among the crowd. 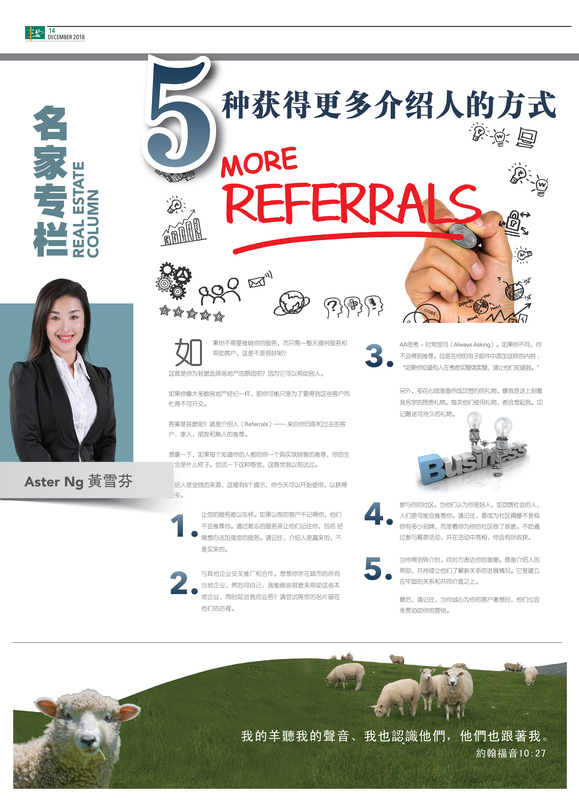 We will have no problem getting personal referrals for our business. We can build a strong clientele and a pool of centre of influence to move our business to the next level. Others will know us by the word of mouth and we can build a strong local reputation. Let us follow through and not just follow up. Good Harvest's columnist Adam Sen is concerned with numerous property scam happening in Malaysia. Here's his four tips to look out for. 4 most common property scams happen in Malaysia. 1) Fake company posing as a developer or property marketing agency, to market a good deal, pricing is far below market value. After purchaser pay a booking fee, the company disappear from the market. All the information provided by the company doesn’t exists. 2) Buyer / tenant pay an earnest deposit to a real estate negotiator to secure a sale / rent deal. The real estate negotiator disappeared after that. 3) Buyer successfully secured a land deal & made payment, but later, realized that the vendor is not the actual vendor, together with a fake title & NRIC as well. 4) Marketing company proposing a new development with a promise of high investment return / rental income every month. Just pay an initial investment fee on a certain amount & you will get the % of return every month. 1) Always check the developer background history & check with the authority on the genuine of the developer. 2) Always deal with a registered real estate negotiator with a REN number. Real estate negotiators are registered under the Board of Valuers, Appraisers & Estate Agent. So, if anything happen to your money, the negotiator can be easily trace by the authority. Always deposit / pay your earnest deposit / booking fee directly to a property agency bank account. Never pay cash directly to a negotiator or to any individual personal bank account. You can check the real estate agent information & property agency information whether they are registered under the board at www.lppeh.gov.my. Do not deal with unlicensed estate agents, your money will be at risk if you go through them. 3) Ask lawyer to check with the land office on the genuine of the land title. Fake title mostly happen when dealing in land because it involve a lump sum of money. If you’re the land owner, do a regular check every 1-2 years with the land office to make sure your title is still under your name. 4) This type of scam is usually called money game. They will promise a high return, some up to 30% every month. Check with the authority on the marketing company background. Some of these company has already been blacklisted by the authority. Do remember, high return will always come with high risk. Real estate negotiator normally recognises that we are in the people business. In the course of work we sometimes overlook those people we considered less important. We gate crash the security point without register ourselves or we pretend to have an appointment with the owner. We do not bother to greet the cleaners or the gardeners along our way. No wonder some negotiators keep telling me they always face a wall and cannot find a breakthrough. They don't seems to be able find an open door in the business. Sometimes a regular security guard or a cleaner may lead us to conclude a deal. Are we really sincere and nice to all the people we meet in the course of our work? Or we only treat those people who can help us well. How is our working relationship with other negotiators? Are we afraid to share the vital information about the property? Do we have reservation to share and discuss the deal that we are working together? Some may fear that divulging the vital information will lose the competitiveness in the market. We deem other negotiators as our competitors rather than working partners. I wonder why my doctor always advise me to eat well, rest well and exercise well. I will be healthy and will not need him as my doctor. He will be our of business. Are we afraid that others will be better than us? We cannot grow taller by chopping other's leg. Be nice to people and may you find your breakthrough. Good Harvest columnist Aster Ng is wondering what has happened to a few of her real estate warriors. The 2018 FIFA World Cup in Russia is still going on but those guys are missing in action! Let's see how she sizes them up. Don't give up my warriors, just show up! This is my call to a few of my team members whom I have not seen for some time. They have hitherto not attended our weekly meeting. Not a word from them at all. It makes me wonder, if they - among them a Grab driver, electrical appliances salesman, factory executive and a former journalist - had all thrown in the towel. Everyone knows it is easy to quit; me too, for that matter. What I know is that our enemy, Satan, is always ready to defeat us with strategy and deceits, through well-laid plans and deliberate deceptions. He knows our insecurities and our weaknesses. Incidentally, we had our fruitful weekly meeting yesterday where we had lots of laughter and informative sharing by our colleagues. We definitely miss those who were not with us. Never mind, since the World Cup fever is still on, I would like to touch a bit on it. From 32 teams, this four-year once world gala soccer fiesta will be reduced to just two teams for this Sunday's final to decide the eventual winner. If you ask me, I don't want my team to be reduced to like that. I want it to grow. My team must grow and none of my team members should QUIT. If at all, I want my team to be expanded to at least or more than 48 members - just like just like the next 2022 Qatar FIFA World Cup which will feature a historic 48-team appearance! No matter what anyone says, there indeed are numerous challenges faced by everyone involved in the real estate industry, my team members included. By that, I mean whatever challenges they may be facing or experiencing right now in their life, I am determined to encourage them to go through it and not give up! Sure, there's this reality that there are bills to pay and food to put on the table for the family. Which is why it is important for them to keep on and keeping on in such rough times. Yes, because it will sure take time, and it won't all be easy. However, don't be a quitter and discard that old "give up" spirit. I want them to take the emotion out of it. Easier said than done, right? But that’s exactly what I will help my team members to move ahead. Quitting is not the option. Agents channel Twillis launches, offering a new way of selling property. Australian-based start-up launches across Australia and South East Asia to increase the sale-ability of property in a declining market, giving control and confidence back to agents. 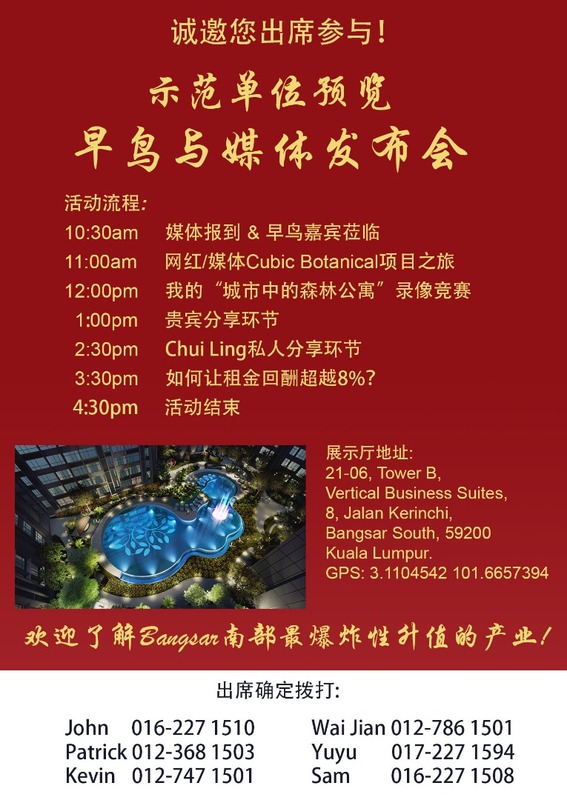 Calling all real estate agents in Malaysia! You can now sell any type of property, anywhere in the world. Do it the easy way through digital real estate start-up Twillis'online real estate ecosystem across South East Asia and Australia. The ecosystem brings together agents, allowing accessibility to thousands of property professionals and creates the ability for transactions to occur in real-time, with transparency. It breaks down boundaries for agents by offering a campaign-based ecosystem, charging zero per cent on commissions. Twillis also reduces the need for holding expensive events or exhibitions, or even contacting agents individually regarding certain properties, as listings of projects are accessible in real-time, and with full transparency of a peer-reviewed network. In only a few months, it has built a database of 20,000 licensed agents across the region. Since the platform went live last February, Twillis has gained a 10 per cent market share and significant ground on off-plan property sales respectively in Australia and South East Asia. It plans to continue its aggressive growth in the region by giving control and confidence back to agents in a challenging property market. Matthew McGrath, Senior Business Solutions Manager at Twillis, believes the company is unique in the marketplace, giving agents a new way of selling in declining markets. “Confidence and control shouldn’t ever be dictated by economic conditions. “Well, we’re seeing transactions occur between agents who have never previously met each other before. How important of having sound knowledge of a property being sold. When you emit confidence you instantly transmit the same emotion in others, in this case from any real estate agents to their potential property buyers. I am very particular about having sound knowledge of all the properties that my fellow team members sell; even if it is project sales or sub sales. We always love talking and reminding everyone of the need to have knowledge of the property they sell our weekly team meeting. All the information had to be at the back of their hand, from the unit size to number of rooms, besides all common facilities available and the distant of the nearest monorail station, schools, hospital, banks and wet market. There's no denying that failure to comprehend all the information will result in a failed deal. I have seen it with my very own eyes how one of our rookie realtor answered well and cheerfully seven but one simple question posed to him by a couple during a project sale at a shopping mall. That very unanswered query caused the buyer to instantly give up buying the project. I could see how the unanswered question wrecked the confidence the couple had on my junior. It was a simple question on whether the sea-facing project would be obstructed by other upcoming buildings over the next few years. Thinking back, now what accounts for this unwillingness to allow this deserving young agent an opportunity to cross check with his superior on that simple query? But no, they decided to walk away instead! The plain fact of the matter is this: The couple is not refusing to buy the project because they could not get an assurance that this sea-front view would not be obstructed. What they are really refusing to do is to give their own time and attention to something that they could not be presented at that present moment. hey could have signed it on if an outright answer was forthcoming. Perhaps, they were in a rush. Or perhaps, we were at fault as we overlooked that very pertinent point raised by the couple. So, sound knowledge is still important. Let's not overlook it again. How a real estate negotiator should hold fast to the golden rule of being early to be safe when conducting house viewing. Good Harvest columnist Joshua shares with us how a real estate negotiator should hold fast to the golden rule of being early to be safe when conducting house viewing. Basic safety for real estate negotiator. Many REN are concerned about their personal safety when conducting their business. We heard from the recent news that a lady agent was raped and a male agent was murdered. Can we take some basic precautions or is there anything we can pay attention to? Will you cross a busy road holding a handphone busy texting your friend? Most of us will not do so knowing the danger of not paying attention to the coming traffic. Likewise are paying attention to the surrounding, the process and the prospect when we do our property viewing? One of the grave mistake is when we are late for a viewing appointment. We are so engrossed in getting the keys out from our bag, opening all the locks and at the same time apologizing for being late. We are not mindful of the surrounding and the prospect beside us. It is wise to ask some questions when we set up a viewing appointment. 1. What car are you driving and may I know the colour of your car? 2. What is the registration number of your car? 3. Are you coming alone or with someone too? 4. How many of you? We must be there at least 30 minutes earlier than our viewer and prepare the property for viewing. It is good to keep the door unlock and wait for the viewer outside. We inform the guard of our viewer details and ask the guard to register our viewer. If we are viewing a unit without a guard then we should wait outside the gate. When the viewer arrive and does not match the information given to us such as a different car or more than the number of viewers mentioned. We should be cautious and alert. If we are not comfortable, follow our gut feeling. Do not go into the unit. Tell the viewer sternly to go ahead and you will wait for him at the guard house or outside the gate. The golden rule is "Be early Be Safe"